In 2011, SCI Foundation partnered with Montana Fish, Wildlife & Parks and the University of Montana to investigate the influence of predation, habitat and nutrition on elk population dynamics in the southern Bitterroot Valley. Initially, wolves were linked to the decrease in the elk population and were the focus of the research. 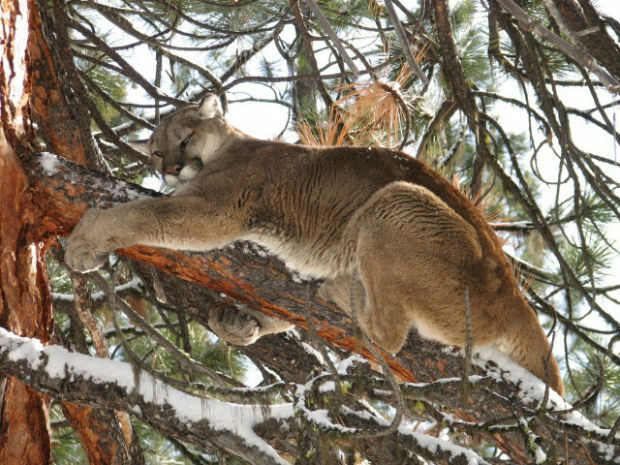 However, after intensive monitoring of elk mortalities, the research showed that mountain lions, not wolves, were the dominant predator in the Bitterroot Valley. Traditionally, mountain lion population estimations have relied on radio collaring and counting individual lions, but recent advancements in lion DNA sampling allow for a new method. The DNA-based estimate of adult mountain lions in Montana’s southern Bitterroot Valley showed much higher numbers than originally predicted. Results predict 85 lions in the West Fork of the Bitterroot and 82 in the East Fork; approximately three times the initial estimate. These lions only include independent adults, and do not factor juveniles and kittens. The science shows that the Bitterroot Valley’s lion populations are larger than other mountain lion populations studied across the Western states. Dr. Kelly Proffitt, from Montana Fish, Wildlife & Parks, attributes the high lion density to the low harvest of females over the past ten years, abundance of diverse prey and quality habitat. With this information, Montana Fish, Wildlife & Parks will better be able to manage lion harvest, minimize conflicts with humans and balance lion populations with deer and elk numbers.